After two stops down south to open the season, the NASCAR Whelen Modified Tour returns to New England to help kick-off Thompson Speedway Motorsports Park’s new season this weekend. The 45th annual Icebreaker will take place over the course of three days — and is headlined by the Icebreaker 150 for the Whelen Modified Tour — which will be the finale of the weekend. Jimmy Blewett is off to a rock solid start on the NASCAR Whelen Modified Tour circuit. He’s finished third in the first two Whelen Modified Tour events of the season, and heading into Sunday’s event at Thompson Speedway Motorsports Park, the confidence is beaming from Blewett and his Gershow Motorsports team. With the way he looks so far, this might be shaping up to be his best shot to chase the championship in his career. In 17 years of competition, Blewett has 131 starts — but has only finished a best of sixth in the championship standings when he drove the famed ‘Mystic Missile’ in 2016. 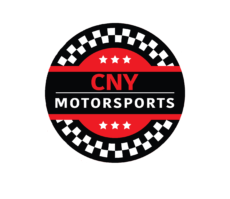 As the series heads for Thompson Speedway Motorsports Park, Blewett’s team will look to seal the deal at the Connecticut oval — a place where they showed a lot of speed last year. Ronnie Williams won two of four pole awards at the .625-mile track driving the car in 2018, and qualified second in another one. The speed in qualifying didn’t necessarily transfer to the race, as Williams could only capture a best finish of 14th. But Blewett will be looking to change that and break into Thompson Victory Lane for the first time. In 37 prior starts, the Howell, New Jersey, native has six top-five finishes and a best of second, twice. After two finishes outside the top-10 to start the year, Justin Bonsignore will look to turn things around in his defense of the championship. He dominated Thompson’s four events last year — winning all of them and becoming the fourth driver in the modern era to complete the Thompson sweep. His victory in the season-ending Sunoco World Series 150 helped seal a dream season with a checkered flag and championship celebration all in one. Doug Coby, who leads the championship point standings entering Thompson, will look to return to Victory Lane at the historic oval for the first time since 2015. The Milford, Connecticut, driver has finished inside the top six in the last seven starts there. Thompson’s five NASCAR Whelen All-American Series divisions, and various other touring divisions in New England, will commence at the Connecticut oval for one of the most prestigious weekends in all of short-track racing. PLACE Thompson Speedway Motorsports Park, Thompson, Conn. The starting field for the Icebreaker 150 is limited to 36 starters, including provisional positions. The first 30 drivers will secure starting positions based on the group qualifying process. The remaining six positions will be awarded through the provisional process. NASCAR group qualifying is in place for this event. Qualifying order will be determined by each vehicle’s fastest single lap from the official practice sessions. The number of qualifying groups will be determined by NASCAR. Each group qualifying session will be five (5) minutes in duration and the fastest single lap speed of each vehicle will determine the first 30 starting positions. Adjustments or repairs may not be made on a vehicle after the vehicle enters the track to begin the qualifying session. Vehicles may not return to the track to make any further qualifying laps unless directed to do so by a NASCAR Official or in the event of a caution. Once a vehicle’s qualifying attempt is complete, the vehicle must proceed directly to the designated impound area once it enters pit road. In the event of a caution, all vehicles must exit the track. Vehicles will proceed immediately to impound after making the qualifying attempt. Vehicles will be impounded after qualifying/inspection. Vehicle must qualify on race set up.